So, what's a studded snow tire to begin with? 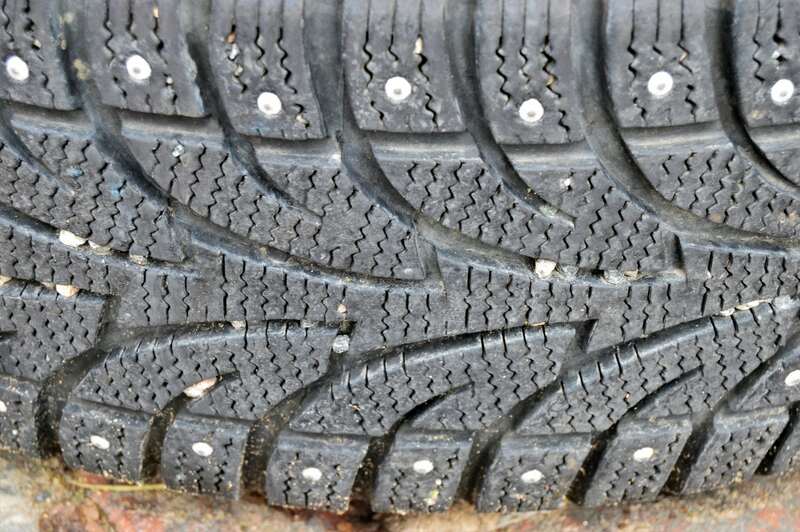 It means that the tire is equipped with metal studs (spikes) in order to get a better grip/traction on slippery surfaces like ice. Notice though that the studs may also be made of ceramic, but metal studs are the most common ones. 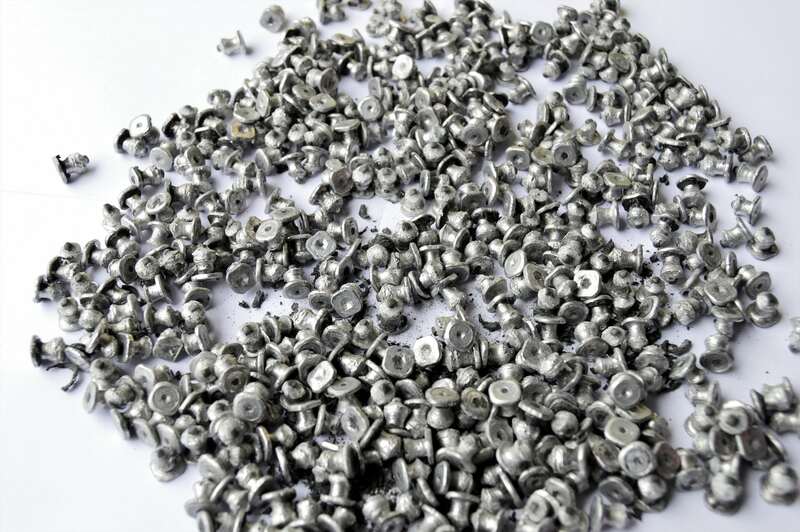 A studless snow tire on the other hand doesn't have any of these studs, which the name implies, they are studless. As you can see, they do have a similar tire thread / rubber pattern (kind of zigzag) while the main difference is the lack of studs compared to the studless tire. 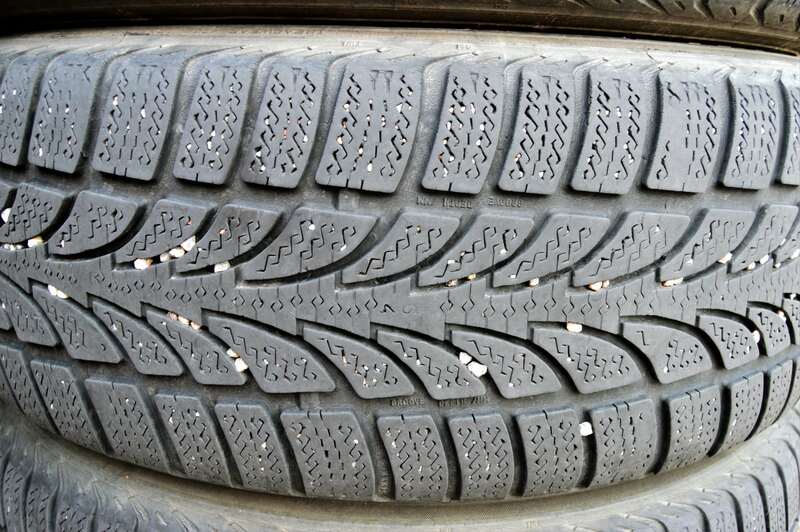 A studded snow tire has around 80-100 studs (each tire) and in most cases the studs can be removed to "convert" the tire to a regular snow tire, although that is not recommended as they are intended to be studded from the beginning. But, if it's an emergency and you gotta use the tires but cannot drive studded, then it's another thing. A metal stud removed from a studded tire using a plier.. that sentence almost rhymed huh? Metal studs removed from a set of studded Nokian snow tires. So, there are thus two sorts of tires to chose from during the winter, studded or non-studded, but first, what's the big difference between snow tires compared to summer tires? In short, snow tires vs summer tires..
Well, snow tires in general are softer than summer tires, to be able to better withstand the cold climate during the winter season. This is because a softer tire gets better traction in the winter and a summer tire won't stay soft in the cold since the rubber material is made to be harder than winter tires, so it doesn't go to soft in the hot summer. Think of it like this, a tire cannot be either to soft or to hard for it to have good traction, that is why snow tires are made for a colder climate to still stay enough soft. The same thing goes for summer tires but they are made for warmer climates = they stay soft within a higher temperature (not too soft, since they may get slippery on hot asphalt etc.). Notice though that studless snow tires (also known as "all season tires") are very common to be driven all year even where there are four seasons (summer, autumn, winter and spring), maybe not the best thing since they don't have the same grip as summer tires do during the summer and because of their softer material they will also wear out faster. There are also specific all season tires and not just studless snow tires, but the disadvantage during the summer is as mentioned with studless snow tires. Heads up! Snow tires themself can also have different softness depending on where they are to be driven, meaning the tire manufacturers make different snow tires for different temperatures. 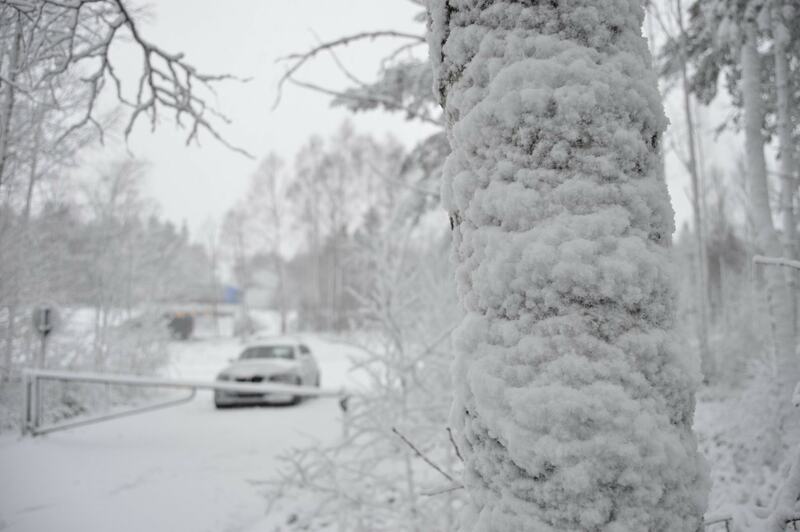 For example, tires that are made for use way up north where it's freezing cold during the winter (Canada, Scandinavia and such) are really soft, when snow tires made for more "southern" regions aren't that soft, but still a lot softer than summer tires. 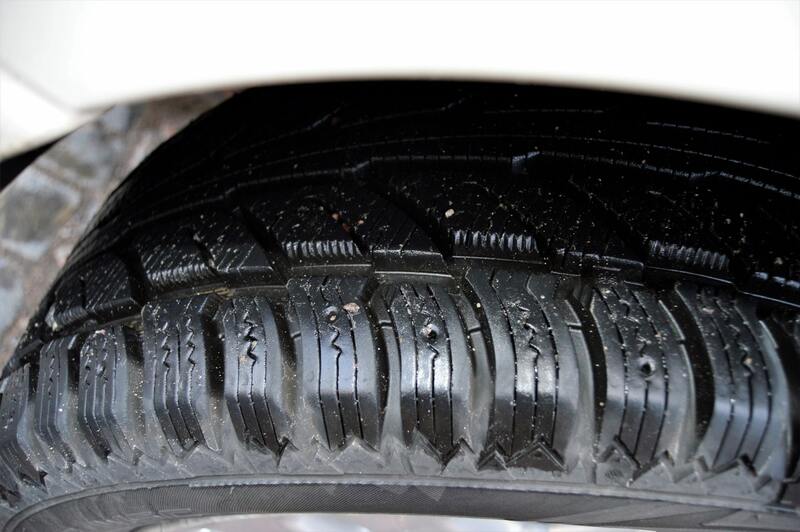 Other differences is the tire pattern, a snow tire often has these zigzags compared to summer tires (the zigzag pattern consists of thin cutted slits which makes for better traction). Also, a snow tire (in most cases) has a more strict requirement to have better pattern depth than summer tires. Important, snow tires are often marked with M+S (which stands for Mud and Snow), but that isn't enough in all cases as it could just mean that the tire is suitable for mud, so have a look out for a snowflake symbol, as this pretty much confirms the tire to be a "snow tire / winter tire", although different countries have different laws, which must also be remembered, and those different laws are probably based on the climate in that specific country. Winter wonderland! Always use good snow tires when nature calls for it! Back to topic, so what about the two types of snow tires, which one is better, studded or non-studded? Well actually, the use of studded snow tires are very restricted i many regions due to environmental reasons, partly because they tear up the road/asphalt and thereby releases dangerous particals into the air which we'll breath in. Every country has their own laws though, so look up what applies to you, studded tires could be restricted by the time of the year (date) and/or by the region or road surface (if driving on asphalt in a city). In some countries it may be restricted altogether. 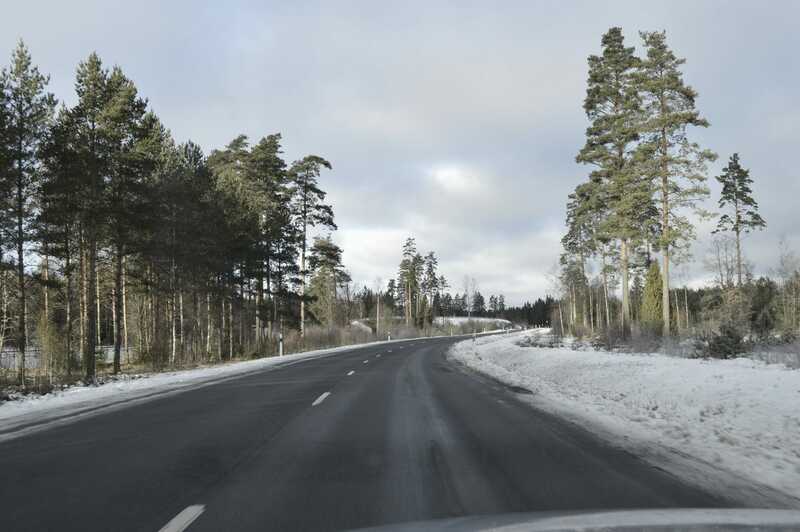 In those situations thay you may use studded snow tires, what's the advantages? In short, they have better traction on ice (frozen rain/moisture on asphalt) compared to studless tires, but not on snow covered roads in most cases, since the studs won't grip through the snow, not even close. The drawbacks on the other hand are what we talked about above, the enviroment, but they also have a "cosmetic" disadvantage as they sound awfully much when driving on asphalt and such, especially when they are new before the studs have settled into their molded holes, which takes a couple of miles to say the least. Now when you know the difference between studded snow tires and studless snow tires, which do you prefer? And also, would you run on "all season tires" the whole year around or do you go for specific snow tires during the winter and specific summer tires during the summer? 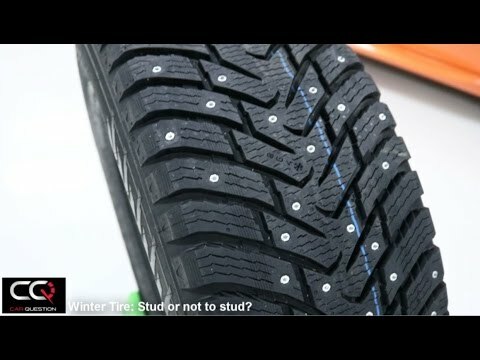 Winter tires: Stud or not to stud a winter tire? 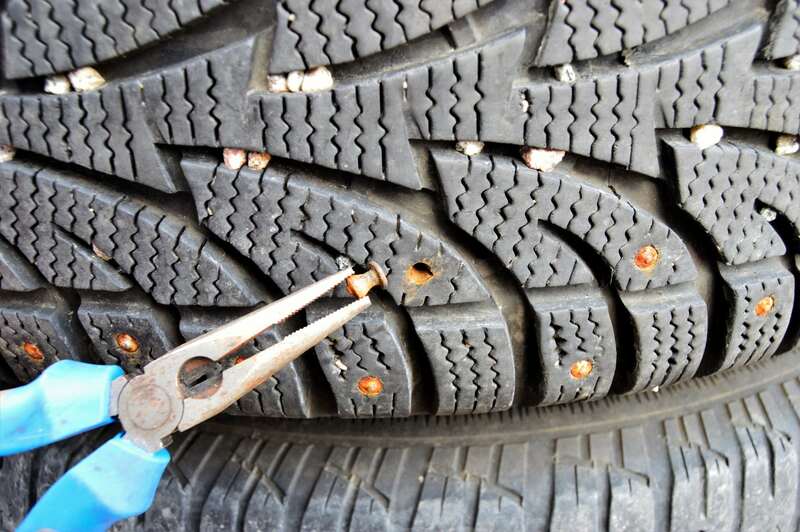 ( to be or not to be ) Do you stud your winter tire? Or do you prefer non-studded one? There is a lot of advantage for your winter tires to be studded but the major one is more grip!! Studded Snow Tires VS Non Studded Winter Tires Tyre How To Choose? Studded Snow Tires VS Non Studded Winter Tires Tyre How To Choose? 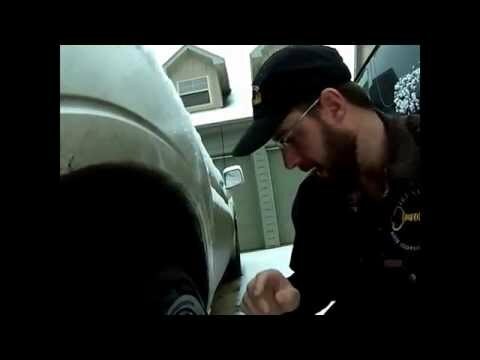 Pairing the proper tire to the proper driving conditions and vehicle. Stud less Winter Snow tires work best on light duty vehicles such a s cars, SUV's, and light trucks.